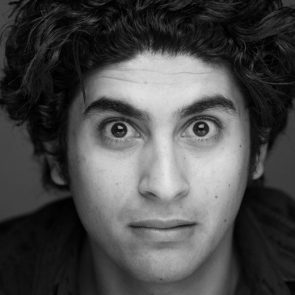 Osamah Sami is an Australian actor and screenwriter, born in Iran to Iraqi parents. As a young teen, he studied Arts at Kanoon Pavaresh Fekri – Iran’s leading arts development institute. He then appeared in two Iranian features before emigrating with his family to Australia in 1995. Osamah finished his training at the Australian Film and Televlsion Academy and has a long list of film, TV and theatre credits to his name including lead roles in the award-winning films, “Saved” (dir. Tony Ayres and starring Claudia Karvan) and “Eliminated” (dir. Dee McLachlan). He has appeared in numerous TV series including City Homicide, East West 101, Sea Patrol, Rush. As a playwright and screenwriter, he has written a number of stage shows (including a musical) as well as writing a TV series and developing several feature films. He has co-written a screenplay with leading screenwriter, Andrew Knight for a feature film based on part of Osamah’s life, called Ali’s Wedding (dir. Wayne Blair and produced by Tony Ayres).